When sifting through the thousands of house plans that are available online today it’s important to first have an idea of what type of house style you’re really interested in. House plan styles are numerous and it is wise to select a house plan style that is common in your region and neighborhood. Choosing a house plan style that doesn’t “fit in” is fraught with problems. Often the construction materials for a house style that is not indigenous to your region may be difficult to find and/or be very expensive to obtain. Another major concern involves selling the home down the road some time. House plan styles that don’t fit in with the region or neighborhood can be very difficult to sell. House plan styles are also constantly evolving so it’s important to look for house plans that are contemporary with the region you live in. New house plan styles incorporate many of the modern features and building materials that were not available even a few years ago in older house plans. In other cases modern house plan styles incorporate the old with the new. With these types of house plans, the exterior of the home may retain an old world charm but the construction and interior of the home is completely modern with the materials and amenities in it. Before searching through countless house plan websites, it’s also wise to drive around the area where you anticipate living and jot down the name of the various house styles you see. Also before searching for house plans also figure out what your construction budget is, how large of a home you want, and the number of bedrooms and bathrooms you want in it. 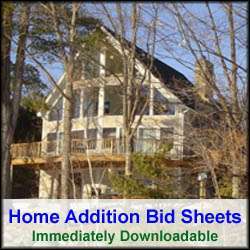 Knowing this information up front will save time in winnowing down your search for the house plan style and home size you ultimately desire. There are many types of house plan styles to choose from. Summarized below is a list of some of the more common house styles. Split Level House Plans – This type of house has a partially submerged lower level that is finished and a completed up stairs. When you walk into the front entrance of the home, there is a short flight of stairs down to the lower level and a short flight of stairs to the upper level. Split level house designs work well on pieces of property that have sloping grades and/or high water tables. Split level houses are also ideal for drive-under garages. Country House Plans – Usually have large open area designs and include a large kitchen and family room. Typically they include two floors. The outside of the home has large amounts of exterior surfaces and there are often wrap around porches attached to the front and side of the home. Ranch House Plan Styles – These types of houses are single story homes. They can vary in size from small to very large. They can be straight, L, or even square shaped with a center outdoor living area. They have a significant amount of roof due to the large footprint they require. Cottage House Plan styles – They are very similar in design and shape as a country style home, but are smaller in size. Again, they also commonly have a large wrap around porch associated with them. They frequently are one story, but with a finished attic space for a bedroom or two. Adobe Style House Plans – These types of homes are commonly seen in the southwestern part of the United States. They can vary in size from small to large. They are unique in that they have a smooth stucco exterior surface. Typically the color of the stucco resembles the color of the surrounding soil area. To conclude, there are many house plan styles to choose from, and the decision on which one you should go with should be based on a combination of your personal tastes and what is common for your region of the country.